Difference between revisions of "Omniwheel"
Omniwheels are wheels with small rolls around the circumference which are perpendicular to the rolling direction of the wheel. Thus the wheel possesses the ability to slide in axial direction with great ease. 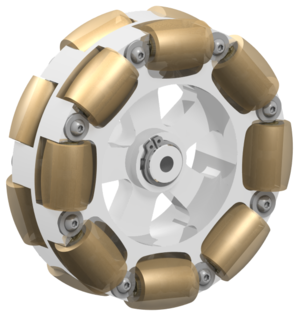 Omniwheels are used in systems with omnidirectional drive mechanism like the Robotino 3. Since these systems only use three wheels, the wheels need the ability to slide in axial direction. The main benefit of this drive mechanism is the capability to drive in every direction e.g. you can move your robot sideways without rotating it. However there are also some downsides. In order to guarantee a smooth motion, the outer contour of the rolls has to form an exact circle. The corpus is milled out of aluminium in order to provide a high accuracy and low weight. The rolls are custom produced. 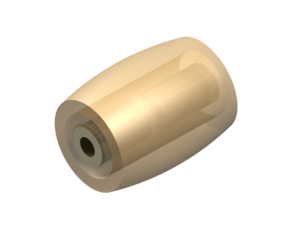 They are constructed as a turned part of polycarbonate which is surrounded by a casted part made of polyurethane. 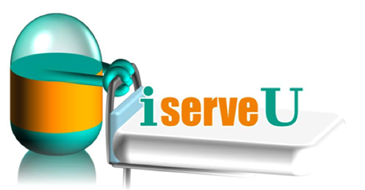 The solid PC core provides rigidity and holds the sintered bush bearings which are used to reduce the friction. To avoid runmarks on smooth grounds the PU is transparent. Furthermore the PU-material provides a certain flexibility to adapt to ground bumps and supplies a good grip on smooth grounds. 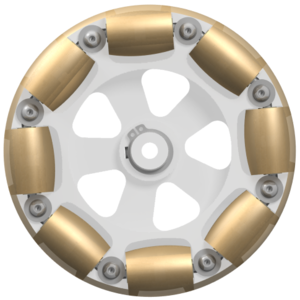 For using these wheels on the Robotino 3, the REC omniwheels are mounted on custom developed shafts which have to be attached to the robot. The wheels are fixated on the shaft with a lock ring. The torque is transferred by a feather key. The following parts list tabulates the parts needed for a set(=3 pcs.) of REC omniwheels. This page was last edited on 1 July 2014, at 11:11.